Kidney disease compromises the immune system. Hence, patients with chronic kidney disease (CKD) are at a higher risk of infections. The extent to which the body's immunity gets weakened is usually directly proportional to the extent to which the kidney function has declined. The important point to realize is that even moderate decline in kidney function can be associated with a significantly higher risk of serious life threatening infections. These include infections from any agent, like bacteria, virus, fungi, etc. And specific studies have already revealed data that points to the​ association of kidney disease with serious infections like pneumonia and herpes zoster. Infections are a leading cause of death in kidney disease patients, too. As mentioned above, the risk of infection in patients with kidney disease worsens with advancing stages of kidney disease, making infections a major cause of death, especially in patients with kidney failure who are on dialysis. While not every infection might be preventable, vaccinating patients against infections for which a vaccine exists should be a priority. In fact, it should be routine care of the chronic kidney disease patient. This could lead to a much lower risk of death and hospitalization in the future. Once you realize that CKD really is a de facto immunocompromised state, it becomes easy to understand the importance of preventive vaccination. Vaccinations should therefore be an integral part of a comprehensive care plan for the CKD patient. Specific vaccines are recommended based on the stage of CKD. In fact, both the CDC's Advisory Committee on Immunization Practices (ACIP) and the international organization Kidney Disease: Improving Global Outcomes (KDIGO) have now come up with specific guidelines regarding adult immunizations in patients with kidney disease. Vaccination against influenza, the common respiratory tract illness whose outbreaks occur every winter, is perhaps one of the most important public health measures of our time. The former is the "flu shot" that you would probably be accustomed to. ACIP recommends only the inactivated vaccine shot for flu immunization in patients with CKD. And all CKD patients, regardless of the stage, should ideally be vaccinated against influenza every year with the seasonal flu shot (unless they have other contraindications). The "nasal spray" flu vaccine (live attenuated) is contraindicated in chronic kidney disease or dialysis patients and should not be administered. These infections can cause severe and life threatening illnesses, like pneumonia and meningitis. The ACIP recommends vaccination against these infections using the so-called "polyvalent" pneumococcal vaccine for patients with advanced kidney disease. Depending on your age, re-vaccination in 5 years may or may not be required. This vaccine should be offered to patients with CKD at stages 4 and 5. A serious disease of the liver, Hepatitis B infection can also damage other organs, including the kidneys and blood vessels. At this time, vaccination against Hepatitis B is typically recommended for patients with CKD at stages 4 and 5. The usual schedule is a shot at 0, 1, and 6 months. Vaccination against Tetanus, Diphtheria, and Pertussis (Tdap) is recommended for most adults and is safe for patients with kidney disease. Typically, one vaccine followed by a Td booster every 10 years is recommended. Given the profound effects that kidney disease has on one's risk of developing life threatening infections, vaccinations against influenza, pneumococcal infections, and hepatitis B should be part of standard care for the CKD patient. Ask your nephrologist if you are up-to-date with your immunizations. 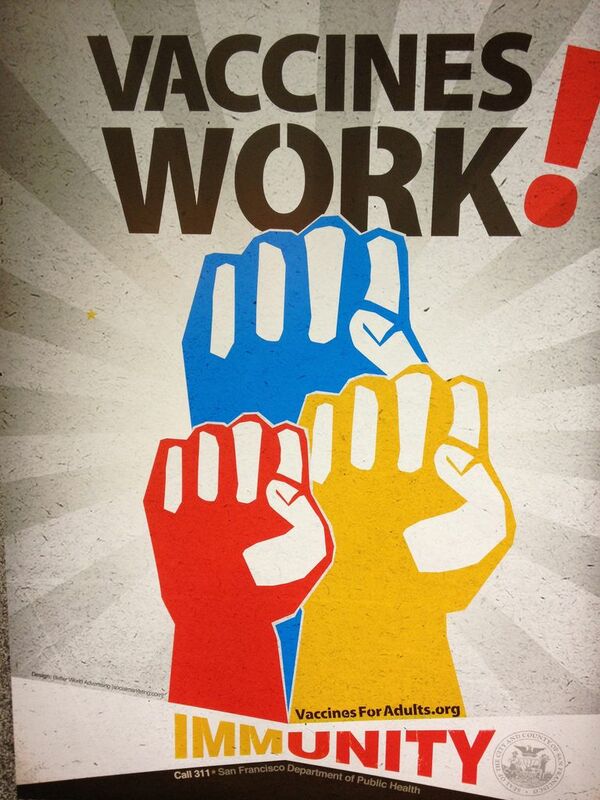 Vaccinations are backed by an overwhelming body of evidence that they indeed save lives. Hepatitis B: Can It Cause Kidney Disease? What Are the Classic Signs of Kidney Disease?